The weather is getting nicer, and there's no better time to get in shape, including switching from unhealthy tobacco cigarettes to vaping! Are you reluctant to do so because you have so many questions about e-cig safety?… Wondering if it's even worth the effort and expense? 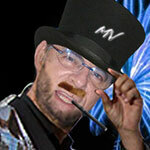 E-cigarette News' answer man, Mastervaper can help! Just leave your question in the comments. Are e-cigarettes helping or hindering the nation’s effort to control tobacco use? What an excellent question and a very popular one too! An earlier survey of over 1,100 respondents conducted in 2010, showed 75.2% of smokers ceased smoking traditional cigarettes completely by using electronic cigarettes. So yes RE, vaping apparently does help the nation’s (and the world’s) effort to control tobacco use if smokers choose to use them and if government regulations do not destroy ecig quality and innovation. As you may know, tobacco industry sales have declined dramatically over the past few years, while the e-cigarette industry has seen tremendous growth and is now worth over 1 billion dollars. I must add that those opposed to ecigarettes, including politicians and large corporations who stand to lose from the popularity of these innovative products, appear to be hindering the nation’s effort to control tobacco use. If electronic cigarettes are removed from the U.S. market, the majority of electronic cigarette owners will turn to ordering the devices from China or worse, return to smoking traditional cigarettes. I hope this information sheds some scientifically based light on the subject. Second Question, submitted by our June T-shirt winner, Jose B. Are e-cigarettes addicting and are they bad for you? There is a good deal of controversy over both your questions so I’ll do my best to answer them by presenting the known facts as well as the fears. Some people think that addiction alone is a horrible disease even though the word addiction has yet to be scientifically defined. If you are addicted to something, these people think you should give it up, even though it is doing you more good than harm. For example, if the nicotine in e-cigarettes keeps you from smoking killer tobacco cigarettes, is this addiction good or bad? Only you can be the judge of that. The fact is that nicotine is a relatively harmless drug; now believed to be no more dangerous than caffeine. Nicotine calms anxiety, mildly boosts metabolism, and improves your mood by elevating the hormone dopamine. It is definitely not carcinogenic! So Jose, the controversy over nicotine is really about the word “addiction”. Are e-cigarettes “bad” for you? So far, since people started vaping years ago, no deaths have been reported that can be attributed to vaping e-cigarettes. The most adverse affects so far reported from some vapers, are dry mouth and scratchy throat. All the ingredients (other than nicotine) in ecigs are FDA approved. Nicorette and other nicotine replacement therapies (NRT’s) have been approved by the FDA. I believe it is only a matter of time before e-juice nicotine is also approved. As far back as 2014, the director of the FDA’s Center for Tobacco Products, Mitch Zeller, testified on Capital Hill with positive news for the future of e-cigs. If we could get all of those people [who smoke] to completely switch all of their cigarettes to noncombustible cigarettes, it would be good for public health. While no e-cigarette company is permitted to make any health claims, the most reputable scientific studies on ecig safety to date (and you can find those studies throughout this website) all indicate e-cigarettes are the smartest alternative to tobacco cigarettes when it comes to tobacco harm reduction. Oh…and congratulations on winning our E-Cigarette News T-Shirt! Third Question, submitted by Kate N.
I've been smoking e-cigs for a while; but have recently heard some conflicting information about the safety of them around my kids. If my kids get around the liquid in the e-cigs; will it harm them? We had a similar question that I answered in depth, so I encourage you to check it out HERE. There are also accurate reports by scientists and researchers that should also allay your fears. Of course, it’s always smart to keep certain items away from the reach of little hands such as bleach and fluoride toothpaste which causes more visits to the emergency room than any e-cigarette liquid ever has. Thanks for your kind words! The vaping industry is changing rapidly and we have updated this and many of our earlier posts as well as creating reviews of new products.